Each Sunday morning at 9:30am growing Christians gather to share their study and insight on God’s Word. The adult classes are biblical based and provide tools for anyone who is sincerely seeking the truth in the scriptures. In addition to the adult classes, we have Bible classes for all children, ages 2 through college. Classes are offered on both Sunday and Wednesday evenings. We have a good number of dedicated and qualified teachers who love the Lord and the children. They use a variety of methods and activities to teach the Word of God. Learning God’s Word is fun at Parkway! 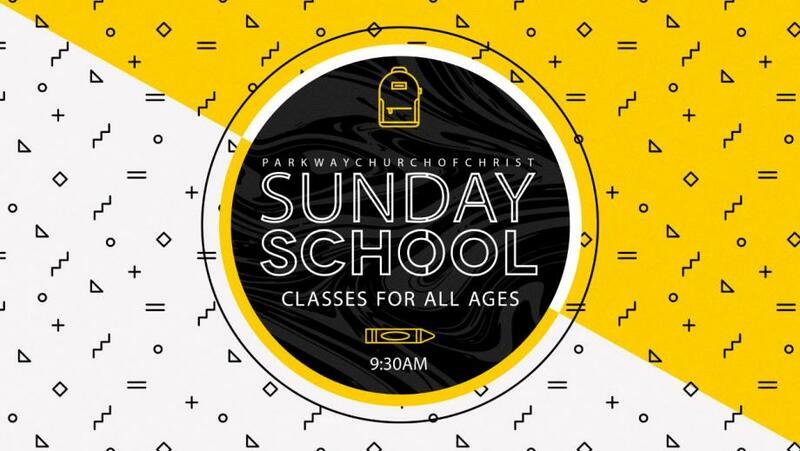 Bible classes of all ages are available every Sunday from 9:30-10:30am.